Boot-cut jeans are thought of as the most flattering jeans style for most people. 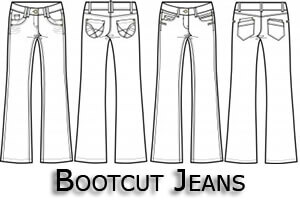 Boot-cut jeans are typically snug through the thigh and knee and then flare from the knee downward. This tends to lend most body types a long and nicely curvy look. Like all jeans styles, the cut varies greatly from jean to jean and it's important to try on several varieties before deciding whether boot-cut jeans are suited to you or not. For more information on the different cuts of jeans please see Jeans Terms Defined. Boot-cut jeans look great with a variety of footwear. 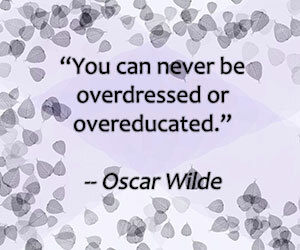 Dress them up and lengthen the appearance of your legs with a pair of high heel shoes. Making sure that the length is right, you just want the toe of the shoe to be showing. You can wear them with tennis shoes, flip-flops or just about any type of shoe you choose. Take a look at How To Accessorize Your Jeans for more ideas to change up your boot cut jeans outfits. Also see a great selection of Men's Boot Cut Jeans.